Picture rocky peaks, tumbling hills, enchanting woodlands and chocolate-box towns and you’ve got the beautiful Black Forest. One of the most scenic regions in Germany, it’s also known for being the somewhat dark and dramatic backdrop of the Brothers’ Grimm fairy tales. Black Forest camping trips not only promise plenty of opportunities for being at one with nature but also fascinating day trips to elegant spa towns and historic cities lying in the shadows of mighty mountains. Stretching from the spa town of Baden-Baden to the Swiss border and east from the Rhine, the characterful Black Forest region of Germany is just waiting to be explored. Vast stretches of evergreen forest fill the majority of the region yet they’re punctuated by impressive peaks like Belchen and Feldberg. With mountains also come crystal-clear lakes like Titisee and Mummelsee, the latter of which is a key stop on the popular ‘Black Forest High Road’ driving trail. 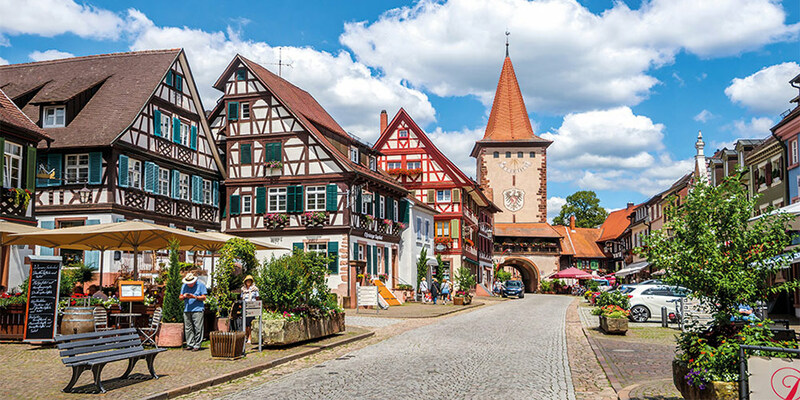 For those hoping to experience distinct German culture, a holiday in the Black Forest also allows for day trips to attractive old towns including Wolfach, Freiburg and Calw. Additionally, the region is right on the Swiss border meaning easy access to cosmopolitan cities like Basel. 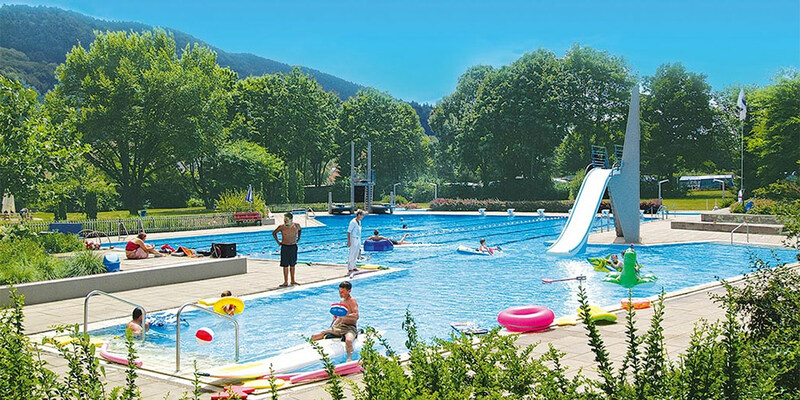 Whether you want to make the most of the region’s glorious scenery or you’d rather spend your days hopping from one spa town to the next, you’ll find our Black Forest campsites well-equipped and well-placed. The Orbitur Valverde campsite in Portugal’s Algarve is the perfect pick for beach lovers thanks to its cliff top location and proximity to Lagos. Keen surfers may prefer Orbitur Valado that’s nestled in the heart of a pine forest just 2km from the huge beaches of Nazaré. Kinzigtal campsite is surrounded by miles of gorgeous countryside that can be explored on foot, bike or even horseback. Perfect for families, it has a huge swimming pool complex and an onsite restaurant serving up tasty local cuisine. If you’d rather swim and eat beyond the site, though, you’ll find the town of Steinach 15 minutes’ walk away and Europa Park (Germany’s largest theme park) a half hour drive. 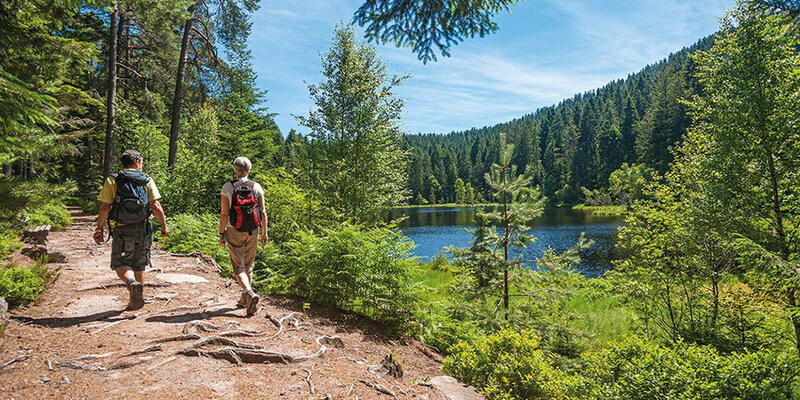 Famous for its spas, Schwarzwälder Kirschtorte (Black Forest gateau) and cuckoo clocks, there's plenty to keep you entertained on a holiday in the Black Forest. 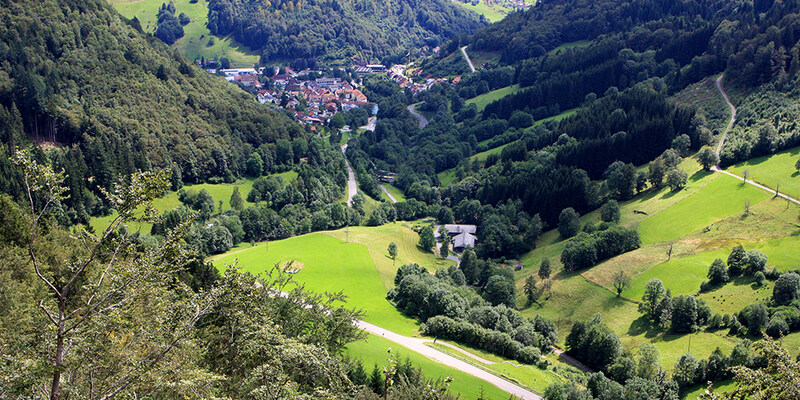 Belchen — Considered one of the most beautiful Black Forest mountains, it’s worth walking to Belchen’s summit for spectacular views of the Vosges, the Rhône-Rhine canal and — on a clear day — the Swiss Alps. Pforzheim — Located on the northern edge of the Black Forest, Pforzheim was almost totally destroyed in WWII but is now one of the most attractive towns in the region. It’s an important gold centre and houses the Schmuckmuseum, an excellent jewellery museum. Wolfach — A lovely old town with picturesque painted houses. Wolfach is also a traditional glass-blowing centre and home to the Dorotheenhütte — the only remaining Black Forest factory where glass is blown by hand. Basel — Only 45 minutes away by car, Basel is Switzerland’s second largest city. Situated on the Rhine, the south western bank of the river is its historic centre and where you’ll find beautiful, medieval buildings and Marktplatz with its fruit and flower stalls. Rhine Falls — If you’re planning on visiting Switzerland, don’t miss this magnificent waterfall just south of Schaffhausen. The falls are 150m wide and drop 25m in a series of awe-inspiring leaps, prompting the writer Goethe to call them “the source of the ocean”.